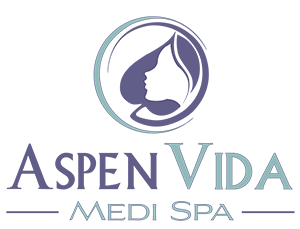 Amid the falling leaves and cooler temperatures, changes are coming for Aspen Vida Medi Spa this autumn. Having experienced great success in our first 2 years of business, we want to thank our encouraging and supportive clientele. To celebrate, we are giving our space a new look, adding new services, and building our team of professionals. We can’t wait to help our clients look and feel amazing in our re-envisioned suites that will look and feel amazing, too. With renovations scheduled for November, our updates will be completed and Aspen Vida Medi Spa will re-open just in time for your holiday season, in the first week of December. Meanwhile, all services will be available, by appointment, during this transition time. Aspen Vida Medi Spa and Lyndsey Haynie, PA-C, will be available for scheduled appointments in our temporary space located at 111 Unit N, in the ABC (just above Franck Therion French Pastry). You can still call our number to make an appointment during renovations and beyond. We are confident this remodel will result in a fresh concept, compatible with our services and our client needs. We appreciate your support as we undergo this transformation. While we are building an incredible team of beauty therapists and professionals, we are losing one special team member. Partner and friend Darcy Hill is taking a big leap from Aspen to the big city. We are super sad that we will not continue to see her on a daily basis around here at Aspen Vida Medi Spa, but we are thrilled for her as she makes changes to start her new adventures in New York. Good luck, Darcy! Once reopened, Aspen Veda Medi Spa, Aspen’s premier day spa and wellness center, is pleased to offer a cooperative collection of professional day spa and wellness services, all under one roof. AVMS owner Eden Henschel is leading the charge by handpicking certified therapist, many talented and strong local women business innovators, to create a one-stop option for beauty and wellness seekers. The team includes well-known Aspen therapists and beauty professionals who appreciate the special needs of our clientele. We are excited to offer the best of the best to our longtime and new patrons. Our continued suite of services will include skin therapies and body treatments and upon our reopening we will add new services. As always, we look forward to welcoming you to the “new and improved” Aspen Vida Medi Spa. We will reopen in December. Be sure to reach out to us with any needs or questions regarding professional beauty therapies at 970-429-8350 in the interim.